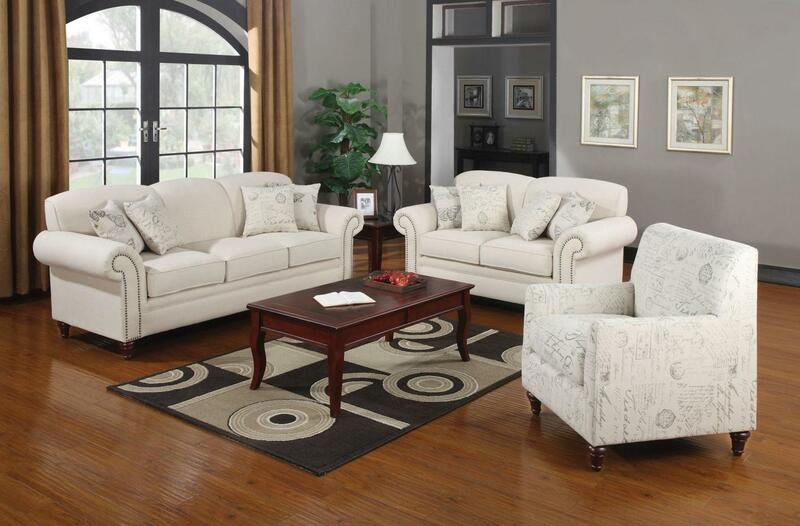 Create a distinctive look in your living room with this elegant French laundry inspired love seat. The light linen upholstery look tailored with tight scolloped back cushions and rolled arms. Classic nail head trim adds a touch of shine. Four accent pillows are included, with butterfly and French script printed fabric, for bringing together modern and antique styles.